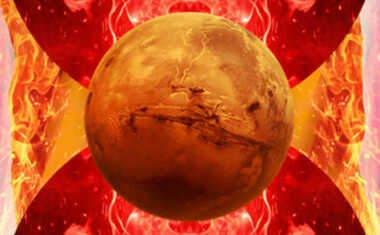 Mars Retrograde: The Cosmic "Chill Pill"
Once every two years Mars, the planet that rules our motivation and ambition, turns retrograde for about a 2 1/2-month stretch. On September 9, 2020, Mars turns retrograde in Aries, and will remain backpedaling until November 14, 2020. You've undoubtedly read all of the warnings about Mars Retrograde by now, and they are indeed accurate. 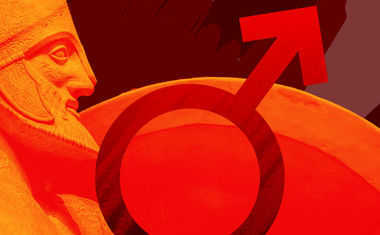 Since Mars is the planet of initiation, you must have a strong and direct Mars if you ever want your endeavor to succeed. This is why astrologers advise against starting vital projects during this retrograde phase. The "oomph" factor is missing or lessened somehow when Mars is retrograde. Often, we feel a sense of frustration during Mars Retrograde because we want to press forward in a certain area of our lives but feel as if our efforts to progress are futile. The universe demands that we fortify what's happening in that area already rather than break new ground. As long as you remember that simple rule you'll be fine. Mars Retrograde won't be your downfall. If you're ruled by Mars, either by having the Sun or Ascendant in Aries or Scorpio, then you belong to the VIP Mars club. Mars, as your ruling planet, has a special emphasis in your lives. When this planet moves direct, you're enlivened and embroiled. You're full of vim and vigor. When retrograde, however, you are forced into a cosmic time out. The universe doesn't ask, but rather orders you to take a chill pill. This could be a huge relief for those of you ruled by Mars! When Mars turns retrograde you know that for at least a few weeks you'll have time to fully inhale and exhale. You see, being ruled by Mars could mean you live a high octane existence and rarely give yourself any down time. So when Mars turns retrograde every couple of years, you might experience a bout of frustration if you're trying to get something off the ground, but even so, you could be secretly thankful. Why? Because at the very least, you can count on a BREAK! As soon as Mars enters his cave for hibernation you'll feel the endless anxiety begin to lift. You'll realize that you've got time to relax. There's an almost unhurried vibration in your energy field that is foreign to you most of the time. But it will allow your "fight or flight" tendency to diminish just enough to stop, sit down, and smell the roses.